Nicholas Allegra, aka Comex, aka the young man behind JailbreakMe.com, has been offered an internship with Apple, according to his recent Twitter update. "It's been really, really fun, but it's also been a while and I've been getting bored. So, the week after next I will be starting an internship with Apple." 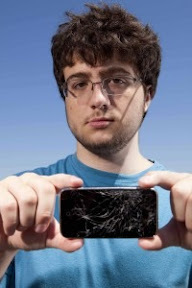 JailbreakMe.com has been around for awhile, and it's long been one of the easier methods of jailbreaking iOS devices. Over the years the site has gone through various iterations to get around Apple's attempts to plug the holes it exploited, but now it appears Apple has employed the greatest jailbreaking deterrence it can: a job offer. Read the Forbes' story on Comex here.